Jordhamnsvägen at Jordhamn is located on the northern part of the island Öland, in the Baltic Sea. The mill shown in the photo is a so-called ‘skurkvarn’ or ‘limestone grinder’ and this is the only remaining known in Sweden and is considered to be historically very strange. 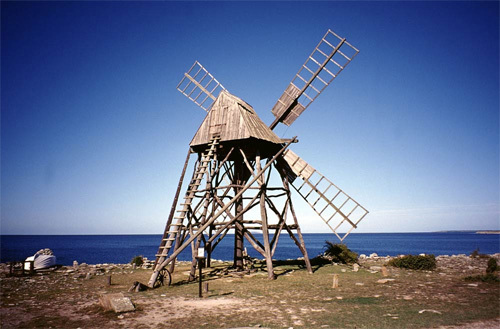 The skurkvarn (stone grinder) was originally built in 1905. Gustav Johansson Österskogen, Persnäs, was the last to operate here and did that until 1930. At this time took the other machines of the grinding of stone. To process to sell the stone was a source of income for the farmer besides agriculture. Stones have been scrubbed (polished) since the Middle Ages. The primary use of the scrubbed stone was as flooring in churches and homes. The wind-driven polishing plant is a further development of a polishing walking, driven by oxen or horses. The wind-driven scrubbing plant consists of a high position of spruce and pine (during renovation in 1963 partially replaced the oak wood) with a swivel cap with brädtak. The gear is made of rowan and operates a horizontal axis of oak with four bars. On the booms sit stones fastened in an ingenious design. The stone which would be ground was laid in a circle and between a rock (löparsten), and the stone that would “scrub” was applied to sand and water as an abrasive in the same manner as in the previous hike. Scouring Administration tells of a type of construction that was common on Öland during the late 1800s and early 1900s. Over the years, several major renovations done but the original design and choice of materials has largely been maintained. Scouring Agency has because of its exposed location blown over and repaired on several occasions. 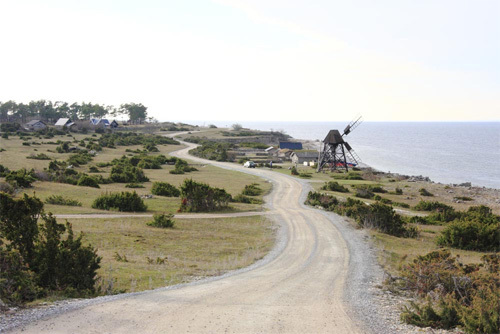 In the early 1900s there were some 30 wind sea scouring works on Öland, most of the northern part of the island. 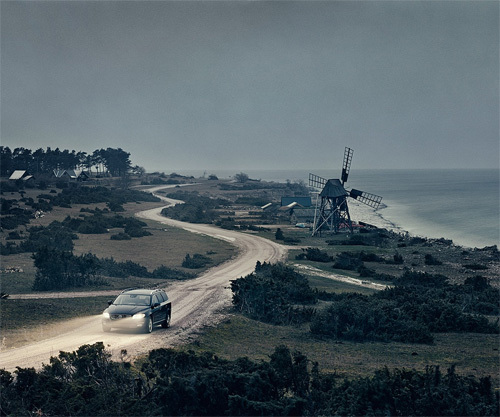 Öland is the second largest Swedish island and the smallest of the traditional provinces of Sweden. 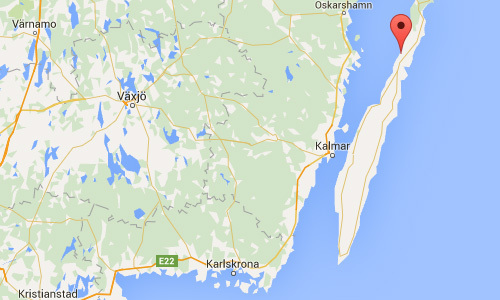 Öland has an area of 1,342 km² and is located in the Baltic Sea just off the coast of Småland. The island has 25,000 inhabitants. 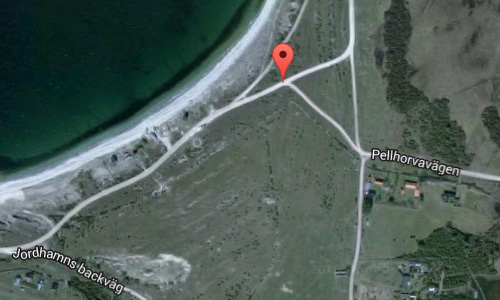 It is separated from the mainland by the Kalmar Strait and connected to it by the 6-km Öland Bridge, which opened on 30 September in 1972. More information at www.lansstyrelsen.se and alltpaoland.com.